I ask myself this question: What are our conventional military forces doing each day in Afghanistan? Besides SPECOPS accompanying the Afghan National Army (ANA) on some of their ops, here’s what we’re doing – hopelessly advising ANA and Afghan National Police (ANP) Colonels and General Officers while they continue to rob us blind, building Powerpoint tales to say we’re continuing to make progress, and like good FOB prisoners, doing time. All those little FOBs we were familiar with that had USMIL based there have collapsed into Kabul or ANA Corps HQ. We’re HESCO’ed in more than ever. The last time I remember seeing an American doing a patrol outside the HESCOs in Kabul was around 2008 or 9! country. My hunch is we may find more hope going back to a time reminiscent to the early and mid 90s, a time when we were negotiating with Taliban (in Washington!!) UNOCAL and Argentina to do petro business. The plan was to develop existing fields and explore for more oil and gas, and build a pipeline from Turkmenistan to Afghanistan to Pakistan. We were so close to a deal but wouldn’t do it because Taliban were not a legitimate government (and they treated their women like crap). These current talks are setting them up to be a legitimate piece of the government. But they would have to moderate their idiotic ways. Plenty of Afghans will tell you the Taliban were really bad but they kept order and a lid on corruption. Taliban right now are seeing the benefits of running the lapis, emerald and copper mines, and unfortunately, the opium business. Afghanistan also sits on a plethora of rare earth minerals……at least a trillion dollars’ worth of total resources. The opium business will continue regardless of who’s in charge. Right before I left in late 2015, the Afghans resumed the Turkmenistan-Afghanistan-Pakistan-India pipeline project. But the Taliban won’t allow that to proceed unless they can officially become part of the government- the ANA and ANP are unable to keep the construction sites secure. Taliban have long memories and understand, like back in the 90s, that a pipeline means big money. And having a legitimate piece of the government is all it takes to get back in the game. There’s a chance that with Taliban officially part of the government acting as an anti-corruption and security hammer, then revenue from petro, precious metals and minerals, and maybe even a return of tourism could bring back some semblance of normalcy. 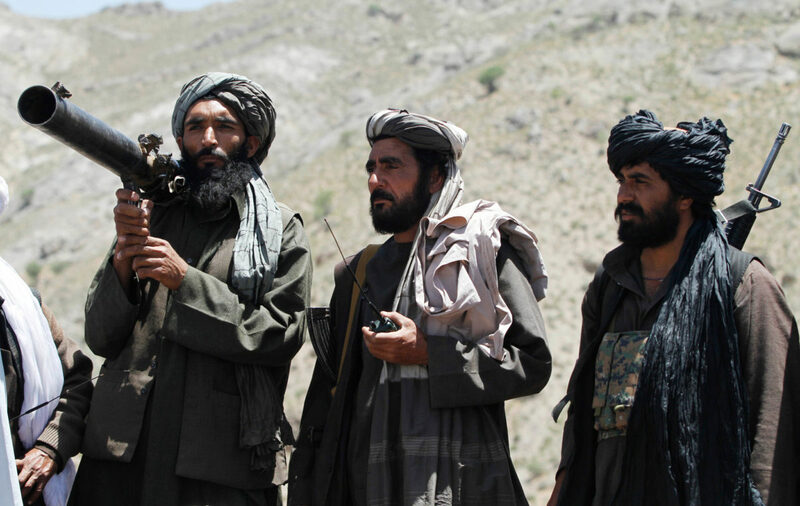 I’m now thinking the Taliban as a part of the Afghan government is the country’s only hope. While deployed to Iraq, about ten months through my tour in May 2010, pictures of a significant Vehicle Based Improvised Explosive Device (VBIED) came across my screen while reviewing the daily theater intelligence brief. This attack had occurred in Kabul, Afghanistan. In all, five US troops were killed along with 17 civilians and over 40 wounded in this attack. At that moment, I did not know that a friend and colleague from the US Army War College (AWC), one of my classmates, had been killed. Ten months earlier I was graduating from AWC where I had first met John in the fall of 2009. While we didn’t have any classes together or share the same seminar group, John and I kept the same physical training routine hitting the gym early getting our work outs in before class. AWC was relaxed for Army standards and officers were on their own schedules to meet physical standards. During this time, John and I got to know each other a bit, went on some long runs together and shared the Army War College experience as classmates. We both had young boys too for our mid -40’s ages helping to keep us young in spirit and often putting life in perspective. John and his wife had five children total, and one of his son’s was already serving in the Army. Another commonality we would soon share. It was clear to me early on what a class act John was. He loved the Army, loved his family and loved life. John was very bright and inquisitive and pursued knowledge. I remember John asking thoughtful questions of guest speakers when the class would attend in mass to hear from a warfighter, a Combatant Commander or a speaker from one of our government agencies. Some colonels asked questions to showcase their experiences, some colonels asked questions to hear themselves talk and some colonels liked John asked questions to learn and gain knowledge. When John stood up to ask a question, one knew there was something to be learned, gained from both the question and the answer. When John and his team of soldiers left Ft. Leavenworth for this mission, they knew there was risk but they expected to come home. There is always risk for deployed soldiers, especially in a warzone. Their families worried and prayed for their safe return, like they always do. COL John McHugh, LTC Paul Bartz, LTC Thomas Belkofer, SSG Richard Tieman and SPC Joshua Tomlinson were undoubtedly focused on their mission to defeat the enemy through enhance pre-deployment training better preparing US forces by capturing real-time lessons learned and incorporating these lessons into their training at Ft. Leavenworth. John and his soldiers were killed a few short days after arriving in Afghanistan serving their country, executing their mission in support of the war effort and making all of us that knew them proud, saddened and humbled by their loss; and their families sacrifice that endures today, tomorrow and every Memorial Day. 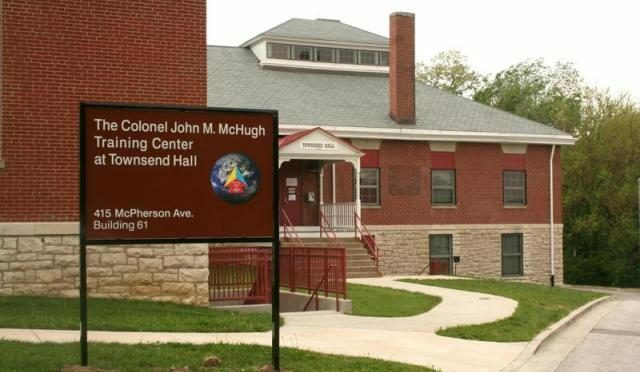 For Colonel McHugh’s family, and all the families that have lost a loved one in war, Memorial Day endures 365/24/7. We should honor them and share their legacy with family and friends, and keep them all in our prayers.